Just weeks after failing to retain his Southern Area crown, by default, Slough’s Ian Bailey gets another shot at a domestic title, when he challenges Josh Warrington for his English Featherweight crown, at the Elland Road Banqueting Suite in Leeds on Friday 27th September. Back at the end of July Bailey failed to make the Championship weight, for his first defence of the title he won in September last year, after stopping Lewis Pettitt in the ninth round. 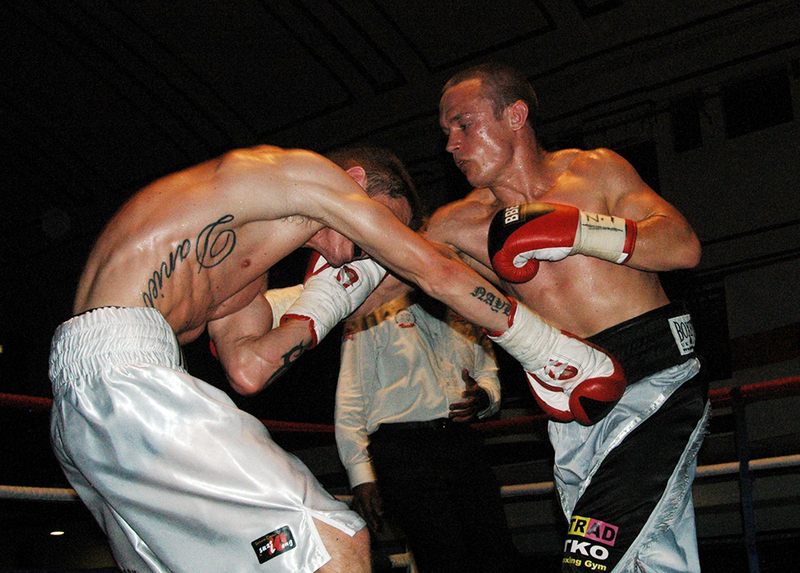 The fight went ahead, even though only his opponent Dan Naylor could win the title if he won, which he didn’t as Bailey was in sensational form. Naylor dominated the first couple of rounds, but after that it was virtually all Bailey right to the final bell. Following a training session, at the TRAD TKO gym in Canning Town, Bailey spoke briefly about the upcoming fight as well as explained what had caused him to lose the Southern Area belt on the scales. “Yeah, it’s Josh Warrington on the 27th September in Leeds. Johnny (Eames) told me earlier this week we’ve definitely got the fight, so I’ve started training full time now. I’ve boxed him before, it was only four rounds though, I lost though, but only by a close points decision. He’s very aggressive, like me, so I’m not going to have to chase him. He throws a lot of shots, but he leaves a lot of openings though, it makes for a very exciting fight. With the proper preparation I can’t see why I can’t wear him down, probably stop him near the end of the fight, well that’s what we are going to try and do. We’ve got to really beat him well as we’ll be up in his back yard, up north in Leeds, yeah we’re looking for a late stoppage. After my last fight I have been looking into my diet, Johnny’s arranged for Joe Dunbar to come in and helping out in this area, I don’t think it’s much of an issue as the only reason I didn’t make the weight against Dan Naylor was that I was ill the last week of training. We still think it’s an area we need to look at event though it was because I was ill, I still felt unwell on fight night, I didn’t feel great, I was nodding off on the way to York Hall, so it wasn’t a great one. I’ve had worse but at least I was fighting at home. I didn’t have much sparring for the last fight, but should get plenty for this one. Johnny has Ian Napa and Lewis Pettitt arranged for me this time around, that’ll be brilliant sparring. I’ve sparred Lewis before, fought him too, and I’ve sparred with Ian, it was a few years ago though, he’s really tricky. I remember looking at him and thinking he’s even smaller than me so it’ll be easier than getting beat up. Technically Ian is very good, he’s subtle, even when he’s on the inside he’s got all the little tricks, he’s got a great body shot so he really makes you think all the time. Lewis is very good technically as well, this sparring will help me sort out any of my weaknesses in preparation for this fight. It should be a real barnstormer, in the first fight the crowd were on their feet and a lot of people said it was a really good fight. The reception we got up there in Bolton was really good, even though it was only a four rounder. It was a real back and forth battle, even though it was a four rounder and I take a couple of rounds to get really going. It was a very good fight even though I had taken it at short notice so didn’t really get the chance to prepare for it, nothing like this one, I’ll have plenty of time to prepare. With proper preparation and this time a ten rounder I should be able to really dominate him so they give the decision to me, or stop him, and I really think I can stop him because he’s not going to run away, you know. It will be a great fight, he likes to come forward, so do I, he likes to get his shots off and do damage to you, but also leaves himself open. Ian Bailey challenges Josh Warrington for the English Featherweight title at the Elland Road Banqueting Suite in Leeds on Friday, 27th September 2013. Tickets will be available on the VIP Promotions website – www.vipboxing.com - shortly.